← Dinner Impossible: people, pleasure & …PASSION! As another new year rolls in the old dissipates into memories: maybe some good, maybe some bad, but memories just the same. I don’t know ’bout you, but i hope some 2013 memories fade FAST. The usual gig here helping the Savvy Saints (my parents) is plenty hard ( i do thank God regularly for the opportunity to Be Here Helping, but that doesn’t mean it’s not challenging!) but adding injuries to the mix has made it even HARDER. Hobbling to the grocery, shuffling through the house, ‘icing’ various body parts (like there’s time for this??) …& the pain drones on. Papa challenged us with something that stuck with me through Advent: i can’t choose to be strong, but i can choose joy. He intimately knows what it means to be weak, physically weak as a bedfast quadriplegic wracked with pain 24/7. For some of us, physical strength is not an option. Not some bubblehead happiness (contingent upon what happens) but JOY that springs from an inner well of hope that doesn’t run dry ’cause it’s connected to the Sea of God’s Grace & Love & Peace & Mercy. Maybe it’s not physical pain that zapped your strength in 2013, perhaps your heart has been battered by hurricanes of loves lost or lost loved ones. And, it’s hard. And…joy is STILL an option. Check out a sunrise – glorious golds, pinks … check out a sunset – glorious reds, purples. as we let the Son rise in our hearts, joy comes. Joy comes… if we open our hearts. JOY is an option. Choose it. 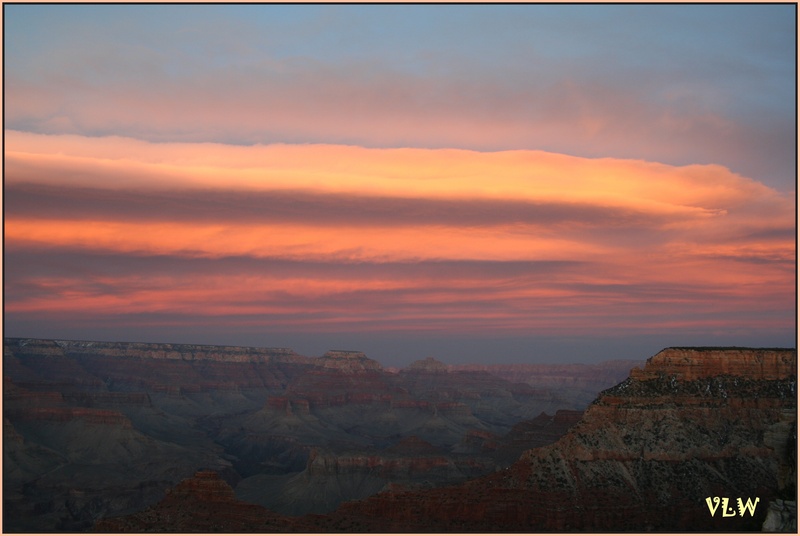 This entry was posted in Life (in general), Sunday-ish Reflections, Uncategorized and tagged faith, Grand Canyon, joy, New Year Reflections, sunsets. Bookmark the permalink. 8 Responses to New Year’s Eve…. Your email notification was the first I received after my new Windows 8 upgrade–how appropriate and ironic. I feel the problems you mentioned when you got Windows 8 (this upgrade has taken three days so far, including a monster help session with Microsoft tech support yesterday). Love the post. Thanks for ALL you do to keep the ministries going! So beautiful Sis! Thank you for inspiring us as we bring in the New Year! Choosing joy is an awesome and freeing thought! We don’t have to be bound by life’s difficult circumstances into a sad or negative mindset! We can rise above it! It’s so good to hold that thought in front of us! We can choose a whole different path by choosing joy! And it spills over to bless other lives as Dad has done for us and his legions of friends! 🙂 Thank you for the gift of this blog! You help us to think about good things that make our lIves more purposeful, always pointing us to a loving God! You’re amazing Sis! You are my hero!!! Love it, Virginia! C.S. Lewis tells us that Joy “is the serious business of heaven,” so we’d best start practicing now. Thanks for sharing, and best to your family. Happy New Year! Virginia, thank you for your good words and timely reminder–a good way to begin 2014. Blessings to you and yours! Virginia, .. Thank you for the inspiring words.— Have a blessed 2014. Happy New Year, Virginia! You speak of joy, and choosing joy, and you’re like the best salesperson… because it just makes me want to choose joy, too! Hope your pain takes a hike in 2014. Best to you.